Water is essential element for human life. 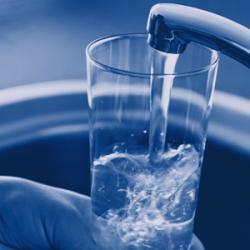 However, the presence of microbial and other organic contaminants present in the water we drink, may cause health risks. With the use of Oltremare’s Residential RO Mini Elements, 100% of viruses and over 99% of chemical substances are removed , meaning we can drink clean and safe water at home. Using an innovative project we redesigned the 1812 mini elements to obtain an increase of flux: the XL 1812 uses the free space at disposal in the pressure vessel to have an higher area, and by using high permeability element, we could achieve the flux of 150 GPD, maintaning the same compatibility with the standard existing model.